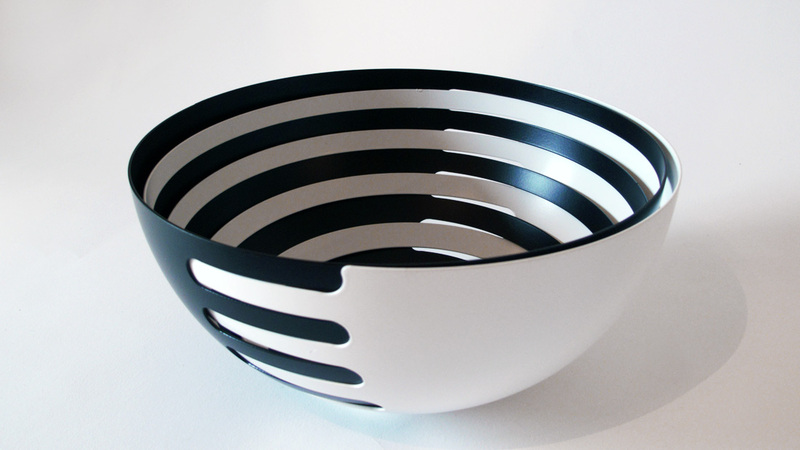 More Than One - Available on line! 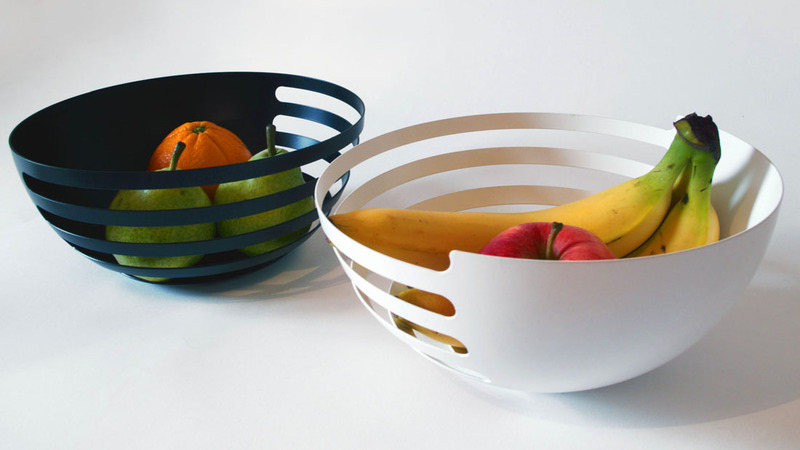 “ECLIPSE is a set of two steel fruit bowls which can be slotted together horizontally or vertically. 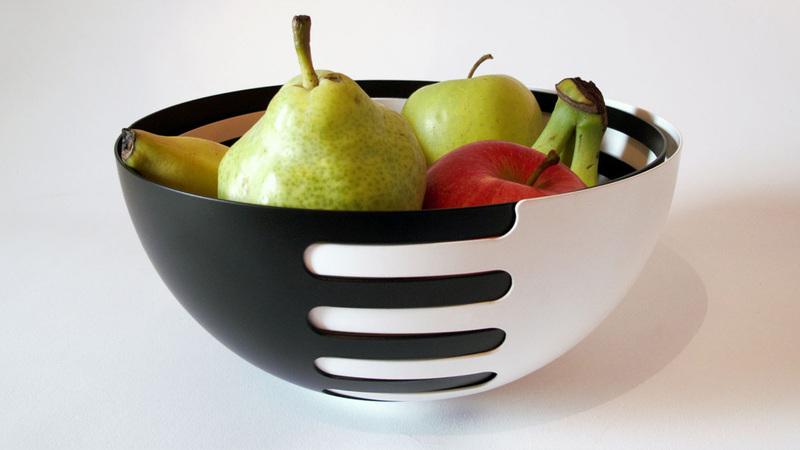 The bowls can be assembled in a number of ways to vary their look and storage capacity.” ECLIPSE is a set of two fruit bowls with several horizontal slots. 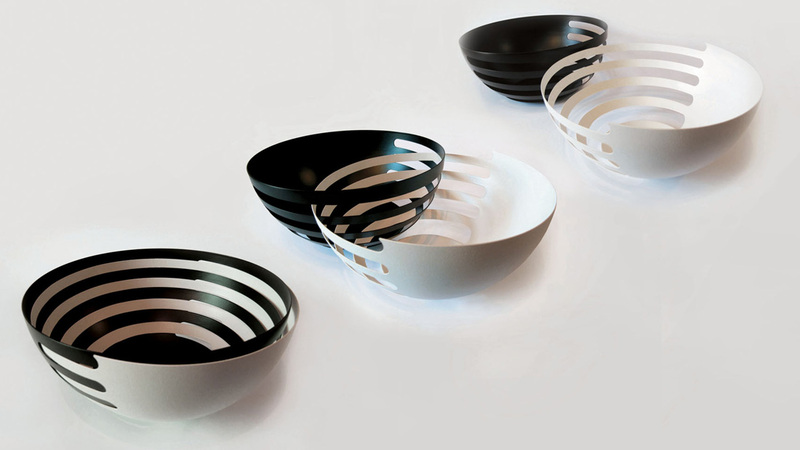 The two bowls can slot into each other horizontally, which creates a striped pattern inside the bowl. 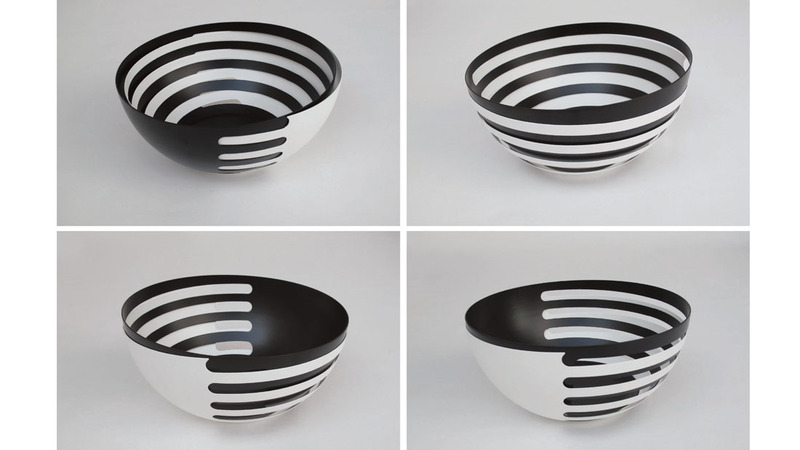 Half of the outside of the bowls appears black and half appears white. An overlap has the appearance of two people shaking hands. 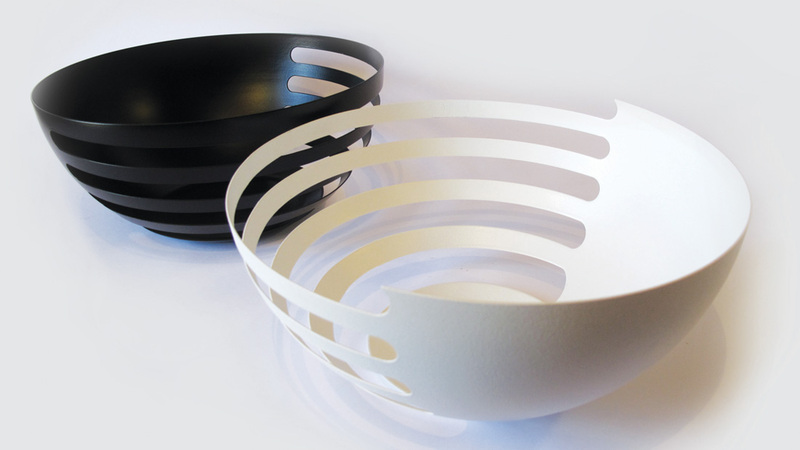 The bowls are also stackable vertically in the same way as traditional bowls. 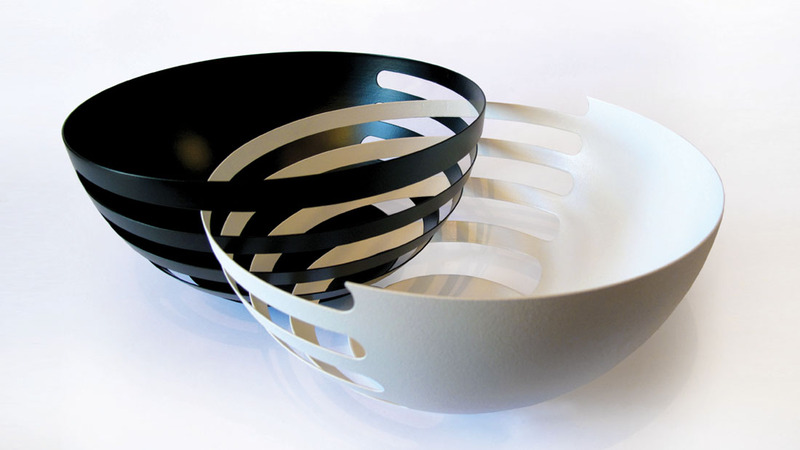 Depending on your viewpoint and how that are stacked, several different patterns can be created. 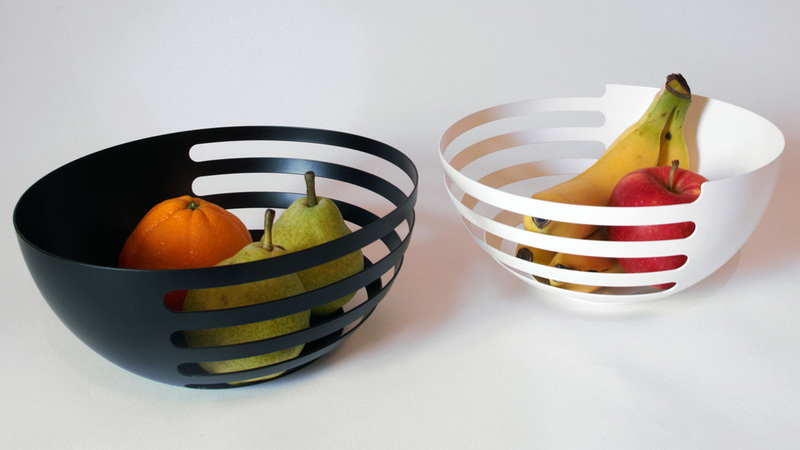 Of course, ECLIPSE can also be used as two separate fruit bowls. 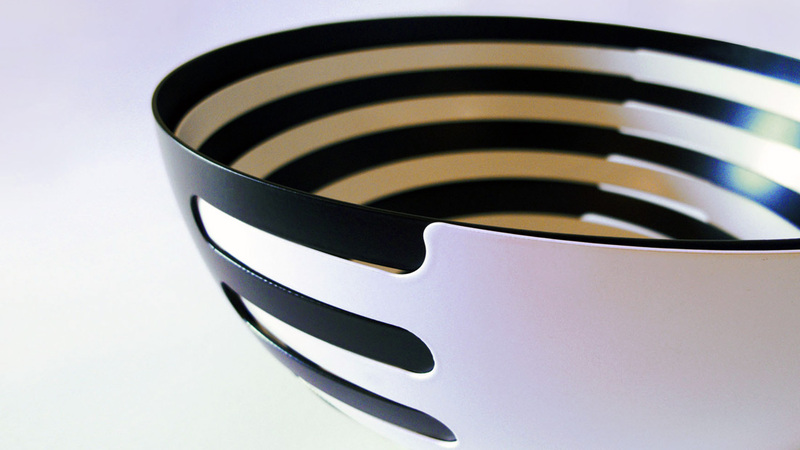 ECLIPSE becomes an iconic centrepiece that can attract people’s attention at the dining table. 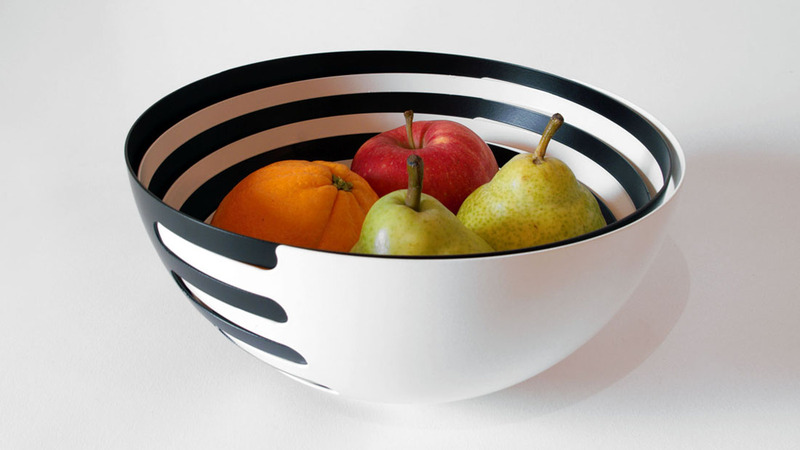 At the same time, it presents fruits beautifully, and is adaptable to various amounts of fruit by being used as a single interlocked bowl or two bowls.